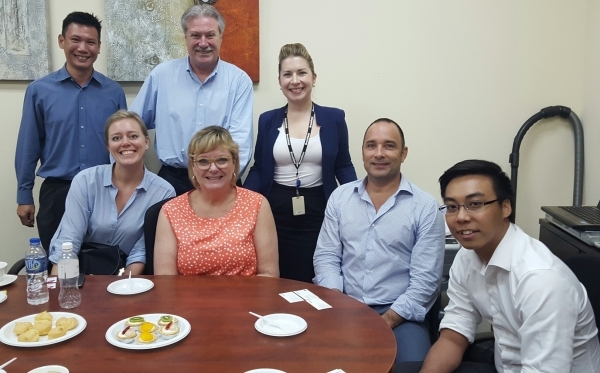 AGS Movers Singapore had the pleasure of hosting a delegation from Brookfield Global Relocation Services. Their meeting reinforced the relationship between the two companies, after Brookfield GRS selected AGS to its panel of 14 global partners. AGS Movers Singapore had the pleasure of hosting a delegation from Brookfield Global Relocation Services. Their meeting reinforced the relationship between the two companies, after Brookfield GRS selected AGS to its panel of 14 global partners. Brookfield GRS has been working with AGS Movers Singapore since 2008. “We are grateful for the strong support we receive from the AGS branches globally, as we continue providing the best service quality to Brookfield accounts’ assignees around the world,” says AGS Movers Singapore’s Managing Director, Yannick Lothou.